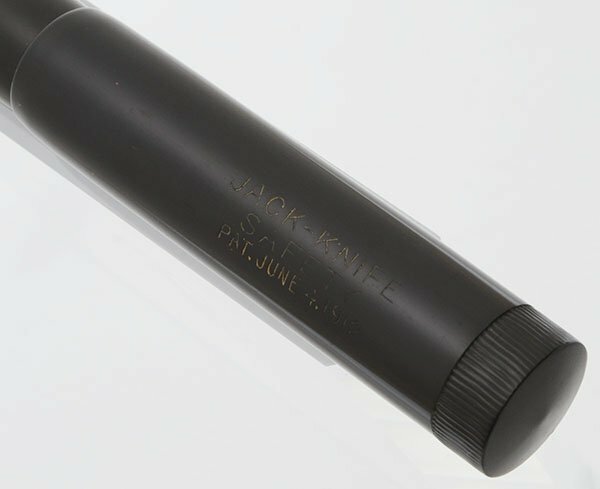 Parker Jack Knife Safety fountain pen with #2 Lucky Curve nib. We are guessing it is one of the many versions of the model 20. It is a flexible extra fine. 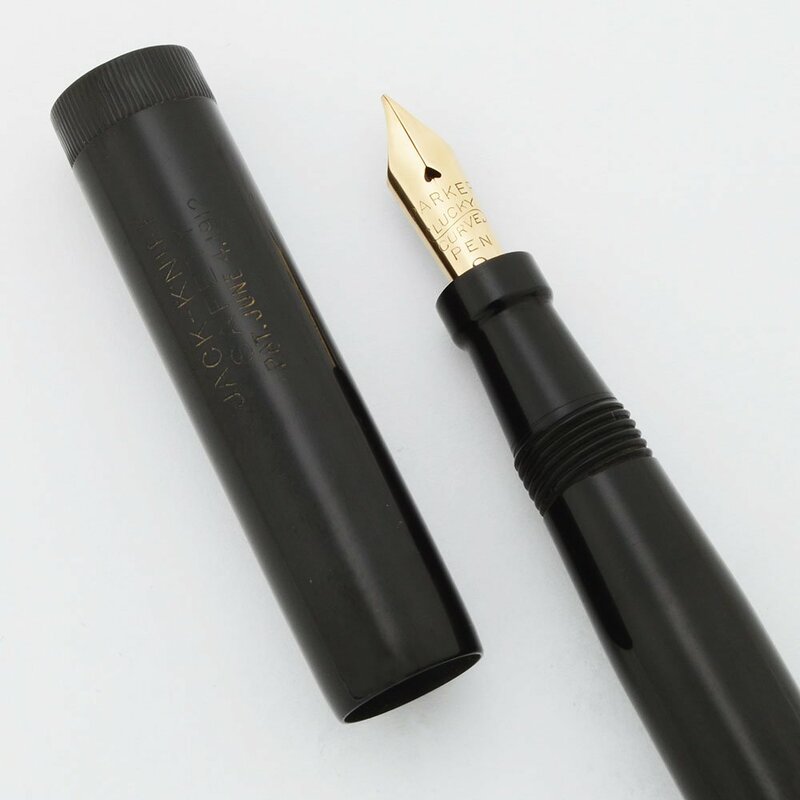 It is slender and long with smooth black hard rubber. This is one of the button filler versions. Superior condition. Manufacturer and Year Parker, USA -- 1910s or 1920s, the button filling system was introduced in 1913. Length 5-1/8", this is the longer of the two sizes. Filling System Button filler. A new sac has been installed and the filling system is working well. Color Black smooth hard rubber body and cap. No cap band or clip. 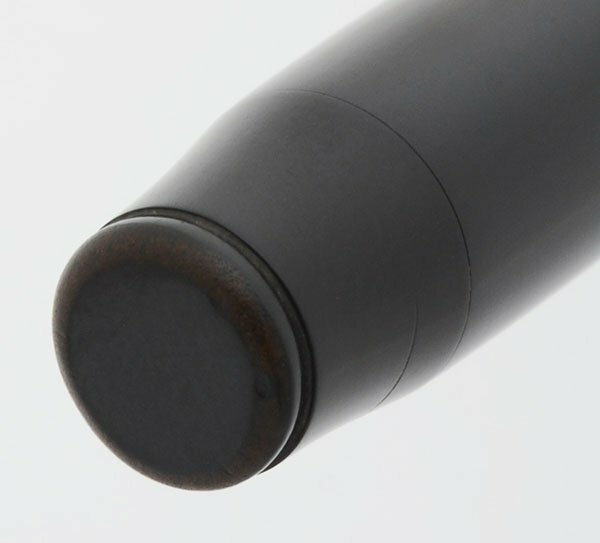 The top of the inner cap piece is knurled (no clip on this pen) and the blind cap has a groove at the end of the pen. Nib Extra Fine Flexible nib. 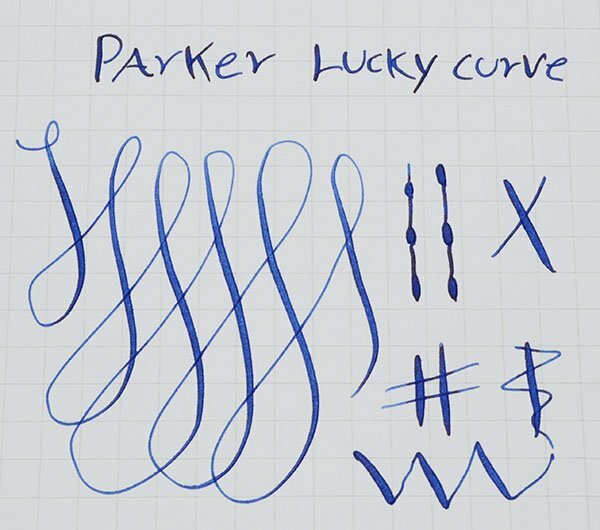 Lucky Curve #2 nib. The tines spread easily for good line variation. See the writing sample below. It has the "Christmas Tree" exposed part of the feed and an unbroken internal part that comprised the Lucky Curve feed. The slit looks like it has some annealing but that does not affect writing. Condition Superior condition. The cap imprint is clear with a little wear. 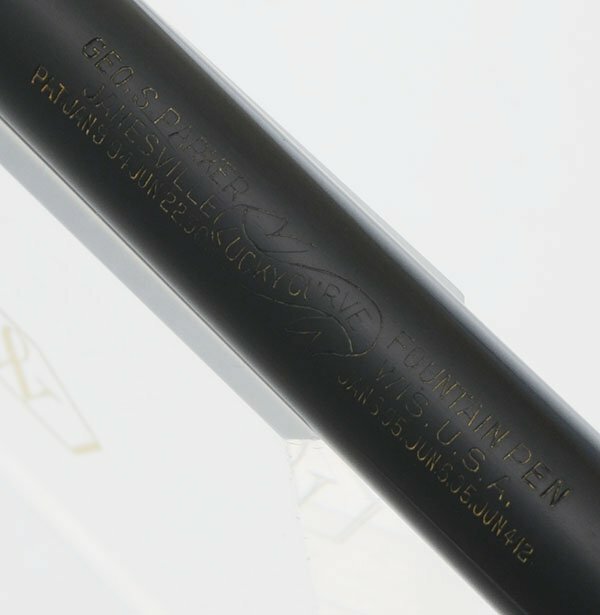 The barrel imprint is crisp and consistent. The blind cap has a single scratch. No cracks or chips. The black hard rubber is very dark. The pen is fully restored and working well.